Standing at the cashier counter of a grocery store I was startled when he called out my total bill amount. Over the past few years we were struggling to cut down our expenses as we were planning to buy a new house. The cashier’s call made me realize that a big chunk of our monthly expenditure is our grocery shopping. But at the same time we do realize we can’t compromise on our health in order to save some money. Pondering over this issue I approached my mom for advice, she has been managing the finances of her house brilliantly over the years and is known to have a good financial sense. She gave me some very useful tips on how to save money on groceries which have served her well over the years. 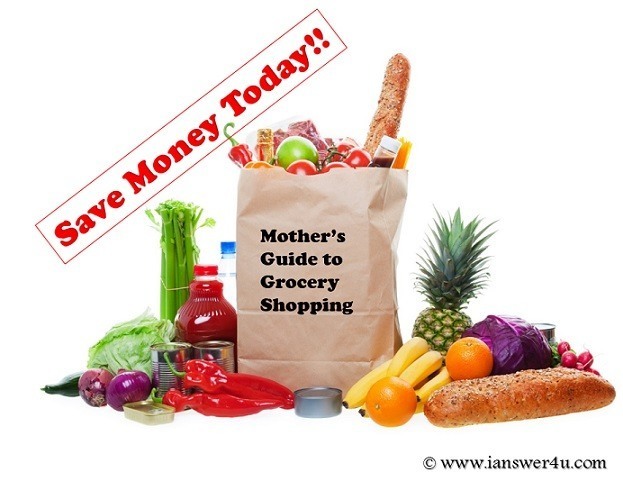 Today I will be sharing these simple tips which brought down my own grocery bill down by 35%. No one is a better judge of your earning and spending scope than you are. Before you hit the local grocery shop make a plan of amount of money you can afford to spend on grocery per month, per week. This is not to say that you should make any compromise on your health but having a rough estimate is not a bad idea. You can then set your spending goals. After estimating your expenditure, you can proceed to make a rough plan of menu for coming week. This will enable you to get a rough idea of what all grocery items you would be requiring and you won’t land up buying unnecessary items. The benefit of having a week’s list ready is that you will not only save on groceries, but will also save on fuel and time by avoiding frequent visits to store. Always try to shop and store for longer duration. Most of us city dwellers have abandoned farmer’s markets for fancy and expensive shopping malls for our grocery needs. If you are really serious about cutting down your grocery expenses you should probably think of paying a visit to local farmer’s market at least once a month. Farmer’s market offers fresher as well as cheaper alternative to local brick and mortar mall. After all preparations have been completed; it’s time to have to fill your stomach. Various psychological studies have revealed that people who shop for eatables empty stomach are more likely to buy junk, unhealthy food. I too can say it from my personal experience that when I started shopping with a full stomach, I was able to resist he temptations of throwing in the extra pack of chips or cake in the cart. Now you are ready to hit the road and shop for your coming week’s menu. Drive to a familiar grocery shop where you are aware of where exactly you can find what you have listed. This way you would avoid wandering and overlooking unnecessary (and tempting) items as well as save your time. The more time you spend in the store, the more you waste your money on buying stuff which you may not necessarily need. Avoid the marketing trap laid down by shop owners and buy only grocery from the store. Now a days you find grocery shops stocking various gift articles, personal care items; this is their trap. These items are not only expensive but are basically aimed at taking advantage of our laziness. Besides remember these items don’t figure on our list as well so AVOID them. Generic products are usually very cheap as compared to branded ones and are still as healthy. Just because you don’t have top celebrities on the packaging of generic products doesn’t mean they are inferior; as far as their health benefits or usage goes. Avoid brand names especially while buying items like flour, sugar, salt etc. You can easily save up to 40% on your bill by going generic. As we have made a list of items you would be requiring over next week, you can afford to go for bulk shopping and save a lot on wholesale deals. Especially for items which don’t get spoiled over long durations can be bought in bulk and stored at home. There are always some wholesale deals for stuff which can take advantage off, instead of going for pricey small packets. When I said got for bulk shopping, I assumed that there might be a better deal if you buy a bigger pack rather than a small sachet; which usually is the case. But recently I found out that marketers of some big brands too realize this myth or assumption we carry while buying bigger packs. They have now quite intelligently made small sachets cheaper. So be cautious and don’t fall for the age long assumptions we have had. Calculate your own prices and then take a decision judiciously. Organic food is usually cheaper and has more health benefits as compared to packaged branded utilities. Similarly seasonal fruits and vegetables are better choice than off-season cravings which you might have. Having cheaper food doesn’t mean settling for unhealthy stuff, rather it means having food which your body really needs. Avoid being lured by fancy packaging of processed tinned food, go for fresh raw fruits and vegetables. Agreed, the packaged ready to eat food is easy to make and saves a lot of time, but fresh fruits and vegetables are lighter on pocket and are healthier alternatives. No matter what the label says, a fresh orange is any day better and has more nutrients than bottled orange juice. Every month there is some or the other offer or discount season at your favorite grocery store, use those opportunities to buy stuff you might require over a period of time. Also, you may use coupons to occasionally fulfill your craving for unnecessary yet tempting box of chocolates or ice cream. Last but the BEST: Always buy stuff which you really need and don’t be swayed by discounts and sales on unnecessary items.